Nearly one in seven of you fibbed about attending church, according to a new survey by the Public Religion Research Institute released Saturday (May 17). You skipped church. And then nearly one in seven of you fibbed about attending. The survey finds that many Christians — and unbelievers, too — will exaggerate about attending worship in live phone interviews. However, when asked in an anonymous online questionnaire, people will answer more realistically. On the phone, 36 percent of Americans report attending religious services weekly or more, while 30 percent say they seldom or never go. 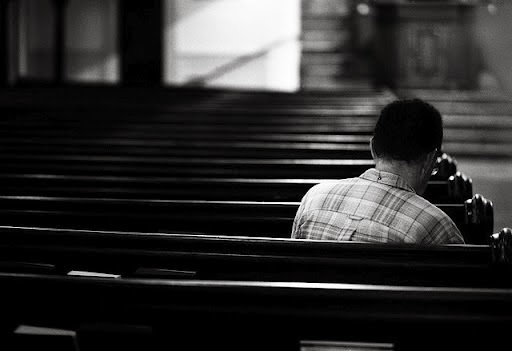 But online, a smaller share (31 percent) of people surveyed said they attended church at least weekly, while a larger portion (43 percent) admitted they seldom or never go. People who don’t attend worship — but say they did — may not mean to lie, said PRRI CEO Robert Jones.